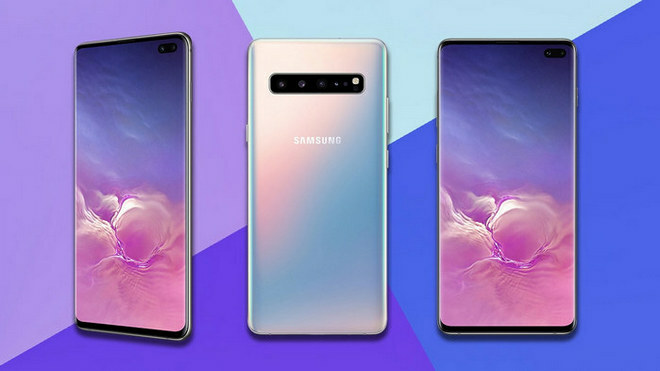 If you have purchased or rented some DVDs online, you may want to convert them to your new Samsung Galaxy S10/S10+, so that you can enjoy the DVD movies while traveling. Above all, you will need to find an appropriate DVD converter which has the output profile for Samsung Galaxy S10/S10+/S10e, and the specific output parameters including video size, aspect ratio, video codec and more others. Any Video Converter Ultimate is your top choice thanks to its fast conversion speed, high output quality and abundant customization choices. The main interface is clean and all features are well organized, so it is very easy for anyone to learn to how to use. What's more, this DVD converter is also equipped with other more amazing features. Let’s see the tutorial on how to convert DVD Disc, DVD Folder or ISO File for your Samsung Galaxy S10/S10+. Download and install Any Video Converter Ultimate on your computer, then run this application. Insert your DVD Disc to computer DVD Drive, then click on "Add Disc" button on Any Video Converter Ultimate and select "Open CD/DVD Drive". After Any Video Converter Ultimate quickly analyzes the DVD structure, all DVD files with different titles will be loaded from your DVD Disc. If you want to convert DVD folder, you can on "Add Disc" button and select "Add DVD Folder". If ISO file, you can select "Add DVD ISO File". If your DVD movie contains multiple audio tracks/subtitles, you can select your desired audio track or subtitles from main panel of the program. Select output video format from the drop-down list. Click on Samsung icon > select Samsung Galaxy S10/S10+ MPEG-4 Movie (*.mp4) as the output format. Under the preview window field, unfold Basic Settings, you can manually specify the chapters you want to convert, for instance, 04 – 08, or 20 – 20. And you can also manually enter the video size (3040x1440 recommended), video bitrate, video quality, aspect ratio, video codec (x264 or x265), frame rate, audio codec, audio bitrate and channel you want. After all the customization is done, you can click on Convert Now! 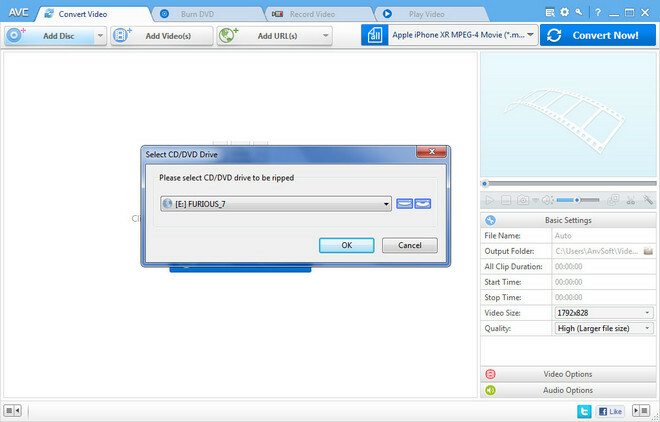 Button to start converting DVD Disc, DVD Folder or ISO File to .mp4 format customized for your Samsung Galaxy S10/S10+. To accelerate the conversion speed, you can also choose Customize MP4 as the output format, video codec as x265 and activate NVIDIA NVENC transcoding acceleration, or choose x264 as the video codec and activate AMD, APP Encorder. After the conversion is done, you can right-click the DVD title and select "Open Destination File Location" to find the well converted video. And then you can use a mobile phone manager or Samsung Smart Switch to transfer the well converted DVD movie to your Samsung Galaxy S10/S10+.